We all know that Japan is a place that produces the most high quality of products in Asia, especially in the make-up and cosmetic industry. 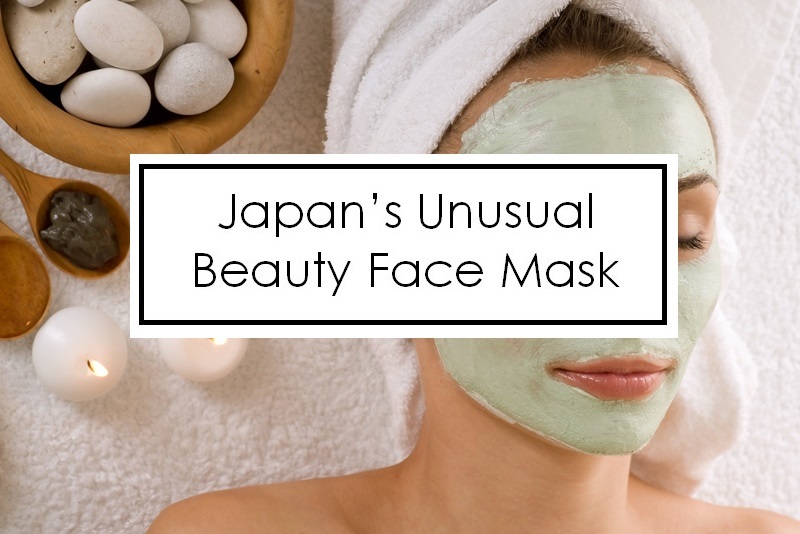 And you know how much we love face mask, so we've search some unusual beauty face mask in Japanese market! 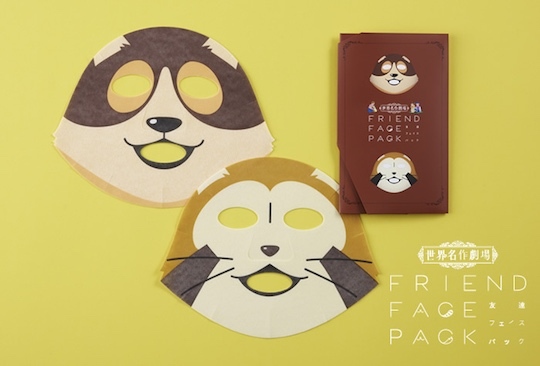 The makers of the popular Kabuki Face Pack and the Animal Face Pack have turned to very nostalgic source materials for their next creation: the Rascal the Raccoon, Patrasche Face Pack set. Isshin Do Honpo are calling this the "Friend Face Pack" set, since these loveable creatures can now be your companions on your skin. The dog face pack is based on Patrasch from A Dog of Flanders by Marie Louise de la Ramee (Ouida). Although the story is originally English and set in Belgium, it is very popular in Japan and has been adapted into several anime. 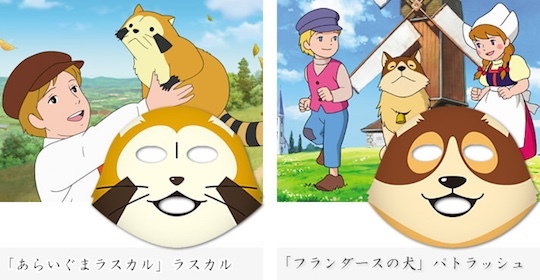 The raccoon face pack is from Rascal the Raccoon (Araiguma Rasukaru), based on the book Rascal, A Memoir of a Better Era by Sterling North and made into an anime series in the 1970s. Although these are themed masks, they also function as genuine face packs with invigorating skin care ingredients and a lavender aroma. 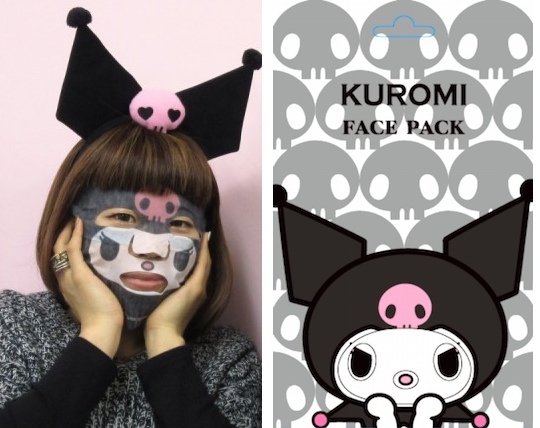 Transform yourself into an unusual Sanrio character with the Kuromi Narikiri Face Pack. The black bunny Kuromi is a cheeky character in the Sanrio pantheon, complete with jester's cap and a pink skull icon. Now you can get the same Kuromi look while also improving your skin with this set of two rejuvenating, genuine face packs. 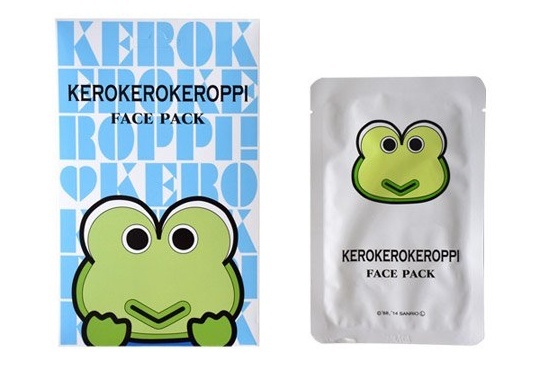 The Kero Kero Keroppi Narikiri Face Pack transforms you into the cheerful green Sanrio frog character AND helps your skin too! The two face packs in the set have a refreshing pearl essence scent, while the revitalizing, healthy ingredients include water, hyaluronan, hydrolyzed collagen, aloe vera extract, and fermented soybean extract. 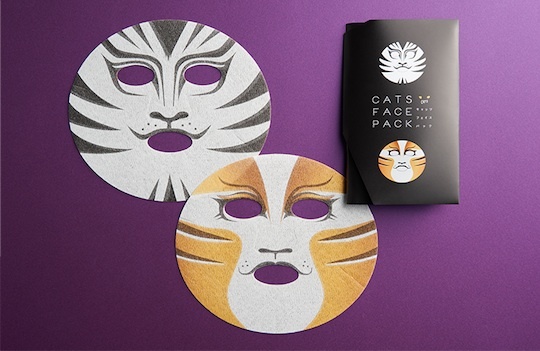 From the makers of the Kabuki Face Pack and the Animal Face Pack now comes this Cats Face Pack, based on four of the feline characters from the wildly successful Broadway and West End musical Cats. This has been developed via the Shiki Theater Company, the troupe who produce the stage versions of Cats and The Phantom of the Opera in Japan. This is not just a gimmick; it functions as a professional beauty face pack. But it also looks fantastic and comes in two Jellicles cats versions, each a set of two. Do you want the Munkustrap and Griddlebone version? Or Rum Tum Tugger and Tantomile? It all depends on the kind of cat you are! The unofficial mascot of Funabashi, Chiba, and the world's most excitable pear, Funassyi has conquered Japan. 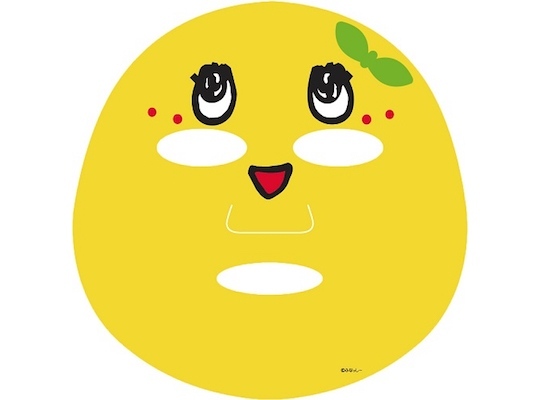 The Funassyi Face Pack Pure Smile Pear Mask means you can transform yourself into Funassyi in all the mascot's yellow glory AND also improve your skin. The genuine skincare item works like a conventional face pack. Just wear it after washing your face to benefit from the revitalizing moisturizing ingredients. 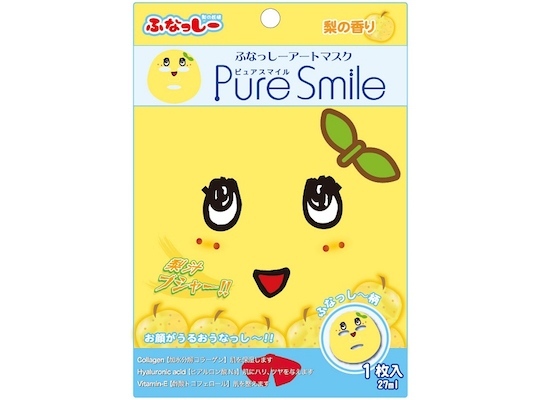 Of course, this being a Funassyi face pack, it also has a pear fragrance! This is a set of three face packs. Following on from the cult hit Hello Kitty Narikiri Face Pack comes another beauty mask with a cute Sanrio character. 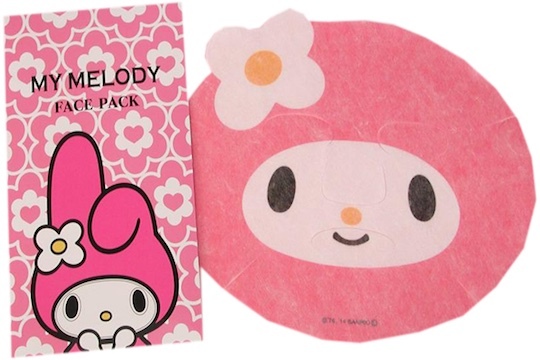 The My Melody Narikiri Face Pack is available in pink or red. The red mask has a strawberry essence aroma, while the pink has a mixed essence fragrance. Although these are themed face packs, they still have genuine effectiveness as beauty and skin care tools. Revitalizing ingredients include water, hyaluronan, hydrolyzed collagen, aloe vera extract, and fermented soybean extract. 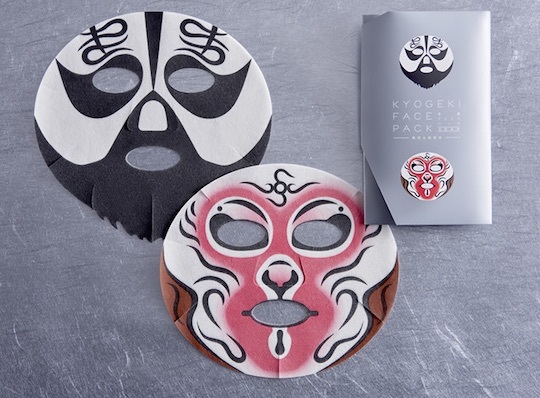 Isshin Do Honpo have turned to China for inspiration for their latest skin care product with this pair of Kyogeki Peking Opera Face Pack Xiang Yu & Sun Wukong. Known as Kyogeki in Japan, Beijing opera is the highly colorful traditional theater that continues to bewitch tourists today. This set features two face packs based on the make-up for two of the most famous roles from Peking opera: the King Xiang Yu and Sun Wukong from Journey to the West. While these are vibrant, fun masks, they are still genuine skin care products and will enhance the quality of your face. The series of face packs by Isshin Do Honpo may have started with some very Japanese entries like the Kabuki Face Pack, but it draws on a wide range of cultural sources for inspiration. This includes classics from America comic books and live-action movies. 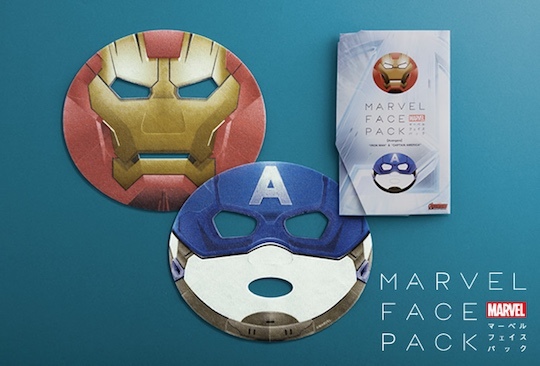 The Marvel Iron Man & Captain America Face Packs transform you into the two popular superheroes, complete with their trademark colors of red and blue. NO more boring or scary face mask!!! 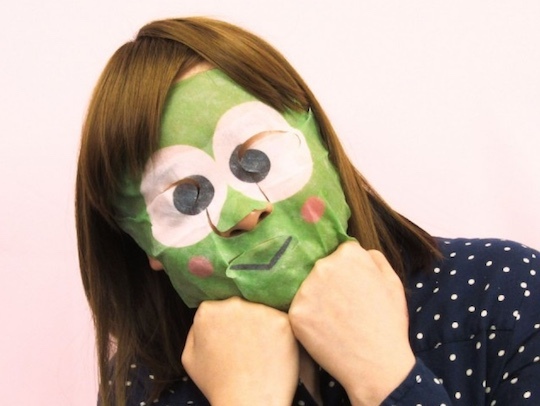 I'm sure my kids will insist of getting one, too, if they see me using facial mask like this one!